Chelsea‘s 19-year-old wonderkid Dominic Solanke is ready to Liverpool in the upcoming summer, as per the reports from The Sun. His current contract with the Stamford Bridge outfit is about to expire at the end of the season and there have been no indications of its progress. Back in December, The Sun claimed that the 19-year-old reopened the negotiation about extending his stay at Chelsea, but his demand of £50,000-a-week deal was a major roadblock in the talks and now, it is understood that he is ready to leave the club. The same source has stated that the academy product has told his friends that he will be heading to Anfield to play under Jurgen Klopp once his contract expires at the end of the season. Former Liverpool manager, Brendan Rodgers, was willing to bring him to Glasgow, but it is very well expected that the Bhoys will fall short when it comes to offering a lucrative deal, hence, Liverpool have an upper hand in the negotiation. Furthermore, it is also expected that Liverpool won’t be matching his £50,000-a-week wage demand, and quite rightly so, but they can surely offer him a regular playing time on the field as they are preparing themselves for a title charge and are also bound to play in the European competition – be it the Champions League or Europa League. Even though the player will be leaving on free – since he will be a free agent – Liverpool have to pay a compensation fee of around £8million as a tribunal – something they did when they signed Danny Ings from Burnley a few years back. 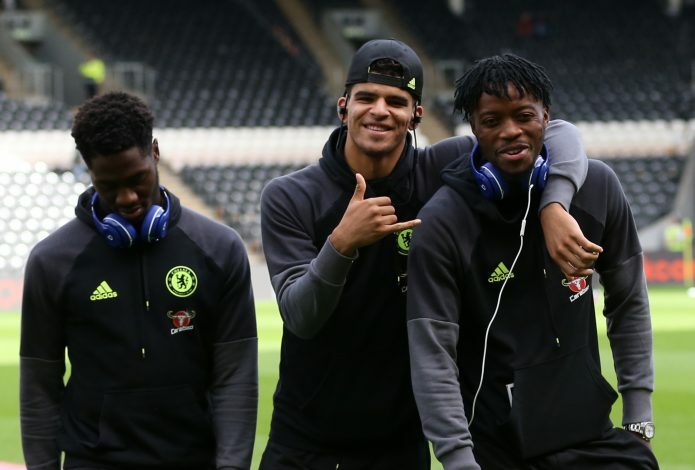 The 19-year-old England U-21 international is yet to make a senior appearance this season and judging by the look of the things, it will be hard for him to break into the squad with a player like Michy Batshuayi already in the line behind Diego Costa. Liverpool, on the other hand, will benefit a lot as they do not really have many players who can match the tenacity of both Mane and Coutinho and how the duo’s absence hurt the Reds was clearly experienced in the last few months. So it is safe to say that Solanke will be a decent buy for the Anfield club.